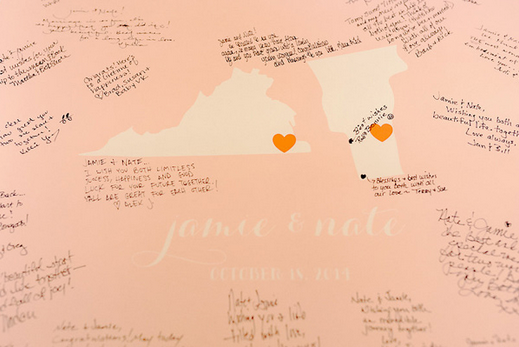 If you feel as though the traditional wedding guest book doesn't appropriately portray just how fun your guests really are, here are some creative and fun alternatives! Set up a special section of a table with a bowl full of shells for guests to write their well wishes on with either silver or gold markers. Guests can set them around the rest of the table for a beautiful shell collection display. Perfect for any seaside or nautical weddings! A fun way to portray the bond you have between your guests! Have 3 different colored ink pads set up near a large canvas for guests to add their fingerprints on. You can have the roots, trunk and branches of the tree already drawn out so that guests will know where to place their fingerprints. This idea is not limited to trees, balloons or bubbles would be great fingerprint designs as well! Put your guests on the map (literally! )A printed map is a perfect idea for a destination wedding, but could be used for any other type of wedding as well! It’s a perfect way to remember your loved ones all in the spot you celebrated your special day. Plus it can be framed and used for wall decoration as well! Asks your guests to write their secrets to romantic success or fun date ideas along with their signature on small scrolls which can be accompanied by small bottles of various sizes. A simple way to guarantee your guest’s signature would be to set some colored markets aside on a white table cloth near the entrance of reception. 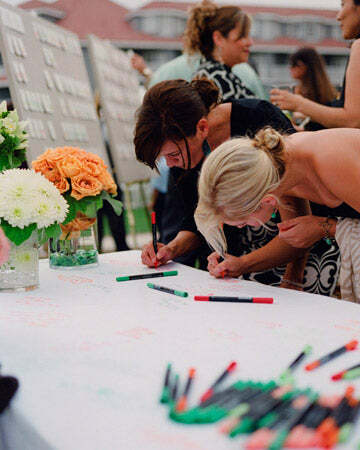 The table cloth can always be saved for later and will give your guests enough room to write meaningful messages. What better way to represent how the loved ones in your life come together to make a whole? Have each guest write their name or special message on an empty puzzle piece. The creation can then be glued together and framed for a beautiful creation for your home. For all of the artistic couples- this is a fun way for your guests to get more involved in your wedding! 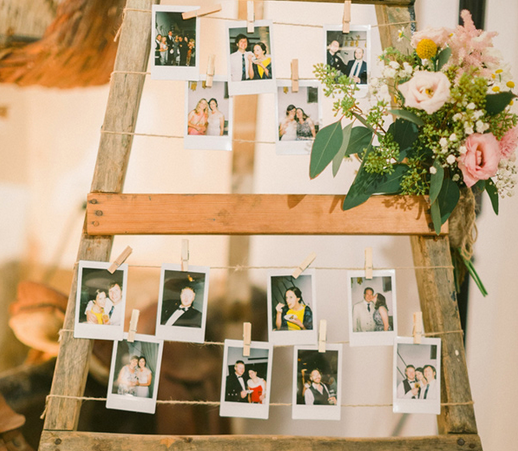 With a polaroid camera, have someone take a picture of each guest as they walk in to the reception and let them sign the bottom. It’s also a great way to remember the hairstyles and trends that were popular at the time! Or if you're feeling really adventurous you can rent a photo booth and require all guest to "pass through" on their way to the reception. 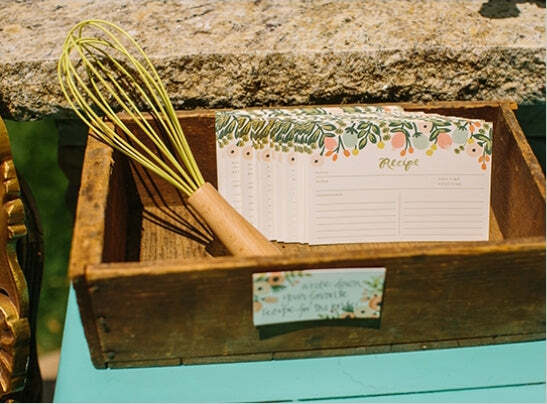 Tell guests in advance that you would like for them to bring their favorite recipe with them to your reception. Then when guests arrive have them fill a jar or basket with all their recipes. Make sure they sign theirs! At the end of the night you will have "cookbook" that has meaning and tells a story as each recipe will represent a certain person in you and your husband’s life. Have every guest sign a wine cork with a sharpie or some other permanent marker and then have them pop each cork in a huge (as in way larger than a mason jar) glass jar. This cork jar is the perfect decoration and is especially great for beach houses. 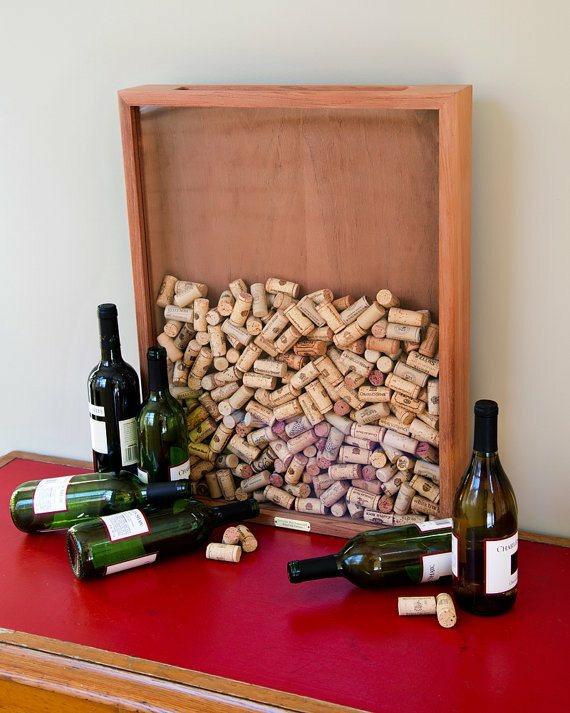 Or you could display your newly acquired wine corks in a case like the one below. Have a pre-designed or at least thought out canvas in which guests literally paint by numbers. The design can be anything but at the end of you night you will not only have a new piece of artwork but also a piece of art that has been painted by all of your friends and family. It doesn't matter if it isn't a beautiful work of art, it tells a story and you and your husband will always remember your wedding each time you glance at the painting. 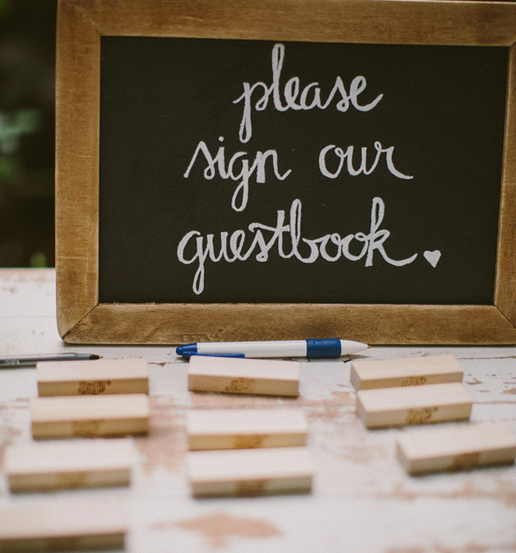 Whether you decide to go the traditional route or pick a more unconventional guestbook, just make sure you have some way to remember the people who attended your special event. And make sure they remember your wedding with a wonderful gift!